Operation and maintenance make up the largest portion of the economic and environmental life cycle of a building and have become primary considerations of building owners and operators. New directives and regulations governing energy use, sustainability, carbon emissions, indoor air quality, and systems performance have required an evolution in the knowledge and skills necessary to operate and maintain buildings. Although this course focuses on fundamentals, it presents sufficient detail to be useful to both recent students and experienced professionals Heating, ventilating, and air-conditioning (HVAC) systems and equipment are the primary focus of this course, as they account for a majority of operation and maintenance efforts. However, plumbing, electrical, and life safety systems, as well as other building systems are also presented. Charts, tables, and graphics provide easy and orderly reference to information and illustrate key ideas. 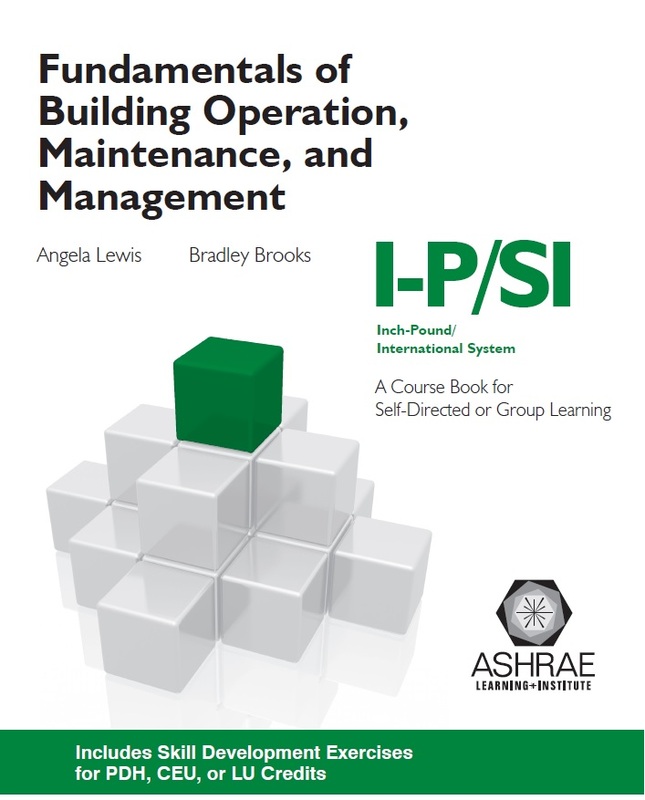 Chapters describe concepts, define terminology, and discuss typical practices and procedures, project examples, and case studies. procedures, greening facilities, and health and safety.